We were in the Faceit Europe Minors’s Media Day as ThatsGameBro.com and we had a chance to make an interview with Patrik ‘Forest’ Lindberg. 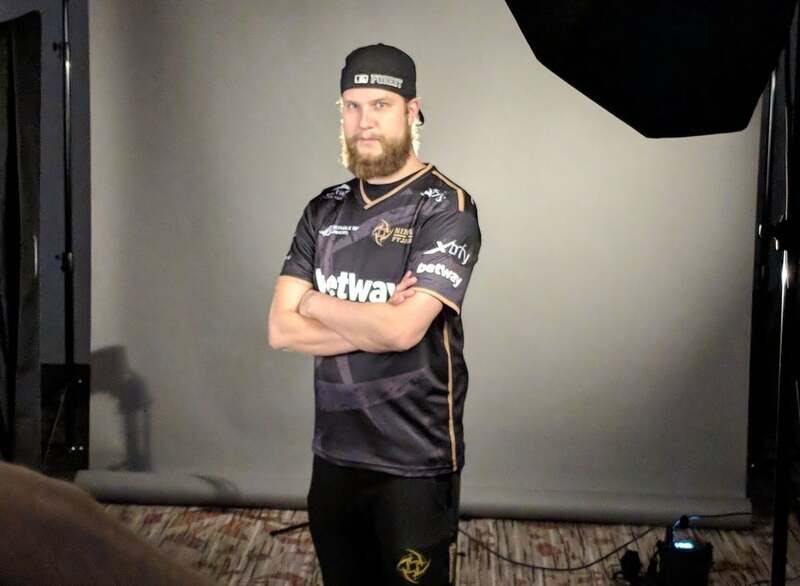 Unfortunately NiP could not attend to the last 2 major tournaments. Do you feel nervous because of that? No I don’t. Even though we haven’t qualified at all for the past 2 years and I think there is no pressure on us. We are all determined to make sure we going to qualify for here and we put in a lot of hours to practise. We feel prepared for this tournament. NiP was one of the best team in CS:GO a few years ago. Is there any reason about your unexpectedly bad performance? It is a tough one. We did a good start on CS:GO, at the beginning, but the years went on we swapt a lot of players in the past few years. Major is the best tournament around the Counter-Strike, it’s the greatest tournament to win, the biggest achievement to have. I really want to lift a trophy once more before it’s time to hang up my boots. I’m going to do everything to win. You have eliminated with losing 2-0 against ENCE on ESL Cologne. You were the favourite team in my opinion. What was the problem, why did you lose? I think it was the combination of the first game we have played against Cloud 9, in the group stage which we played Inferno. They defeated us 16-3. It was a comfortable win for them and we were kinda shocked, the result was so easy for them. I think we couldn’t control our feelings on ENCE game. I don’t want to take anything away from ENCE, they were playing Counter-Strike incredibly, and we weren’t prepared at all. Once we started to lose a few rounds, they had the momentum and anything couldn’t stop them. All we figured out is we weren’t prepared as good as we thought. And now we are sure we’re prepared for Faceit. Have you had any chance to re-watch and analyse your ENCE match? You may face to against them in the Europe Minor again. Yes, If we meet them again, it will not be that easy for them. You will be in Istanbul on September for The Blast Pro Series. You will also meet with the Turkish esports lovers. What are your expectations for the tournament? I am really excited, I have never played a tournament in Turkey before. I heard we have a lot of fans there as well. I’m really excited to go there and meet everybody. I think it is going to be a great experience, I’m super excited. What is the main difference between the espor scene, 4 years ago and now? I think overall, everything is more professional now. The tournaments are more professional, the teams, the organizations, the players, every single thing is more professional. People know what they need to do for win. I think the atmosphere all around get very very bigger. Sonraki İçerikScreaM: EnVyUs kicked us. So I didn’t leave, we have been kicked.